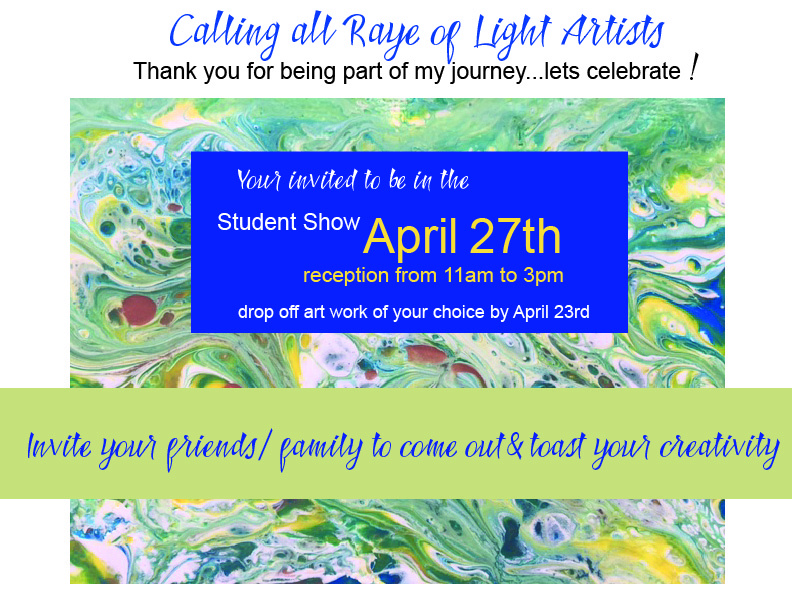 Please consider attending and exhibiting in the annual Anniversary Student Show! We couldn’t celebrate us without celebrating you and would love to show you off. Pieces are volunteered by anyone who took a class since April of 2018 and will be hung inside the studio. We will toast you at 12pm on Saturday April 27th if you plan on attending. Tell your friends or family and share your experience with them as you are on display during the Annapolis Artisan Market all that weekend. We will make arrangements to get your pieces back to you sometimes that week. You do not have to attend to be in the show but we would love it if you came sometime on Saturday April 27th between 11 and 3pm. Thank again for helping us celebrate !